There is a treasure high in the Colorado Rockies waiting for someone to find it. Jake Martin couldn't care less. Since the death of his wife, all Jake wants is to be left alone in his mountain cabin where he and his dog, Fred, can get on with life. 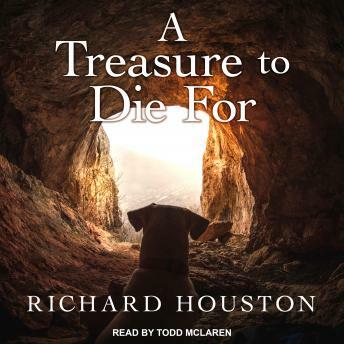 But when it becomes known that the location of the treasure is encrypted in a message left by a nineteenth-century miner, people begin to die, and Jake's good friend and neighbor becomes the number one suspect. The old miner used a copy of The Adventures of Tom Sawyer as a key to his coded message, and the real murderer wants that edition so bad, he's willing to kill for it. Can the amateur sleuths decode the message and stop the murderer, or have Jake and Fred finally met their match?